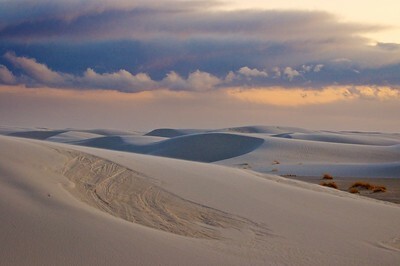 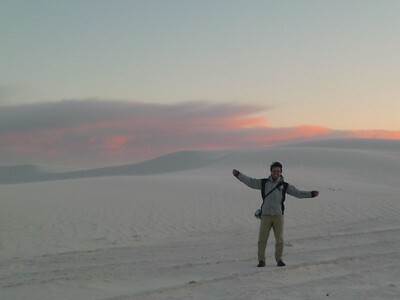 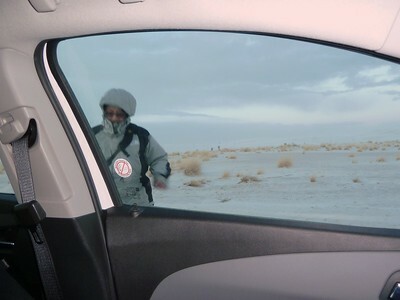 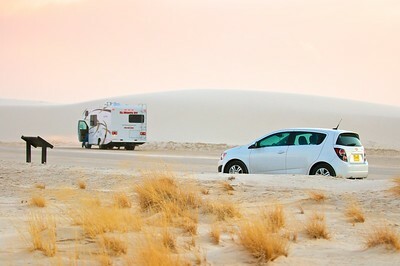 Almost as incredible as Carlsbad Caverns, the fine white sands reminded me of snow. 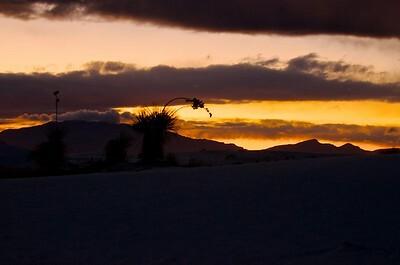 With the high winds that day, it felt like it could have been snow. 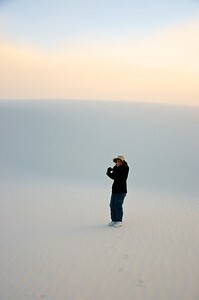 We're still finding the sand in all sorts of things we wore that day. 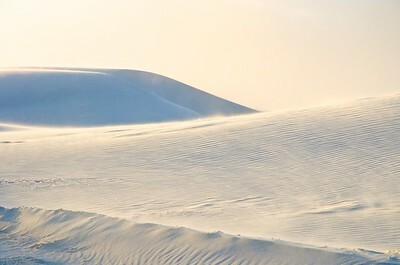 Braving 50 mph winds to walk on the sand dunes. 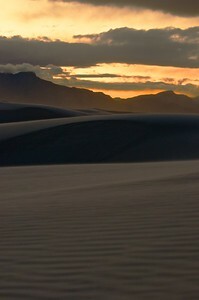 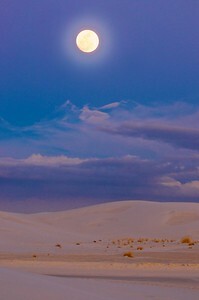 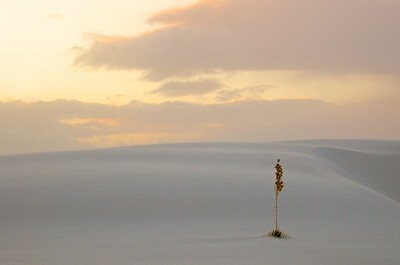 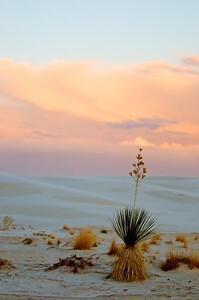 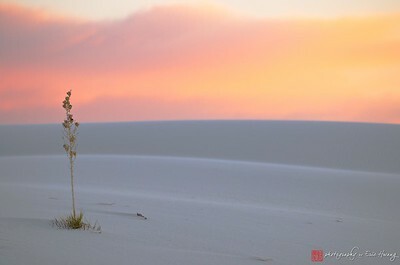 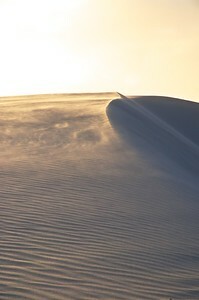 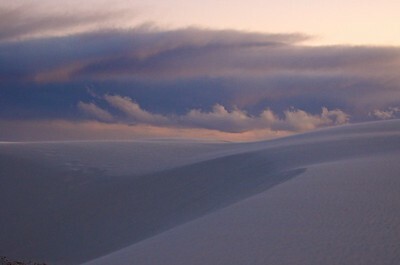 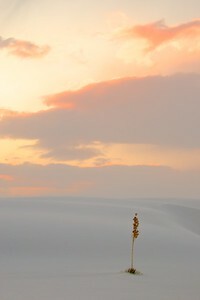 Sunset at White Sands National Monument, New Mexico.